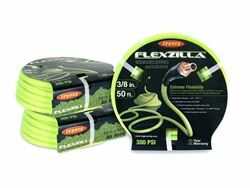 Flexzilla Pro Field Repairable Air Hose features extreme all-weather flexibility, rugged durability and is kink-free under pressure. 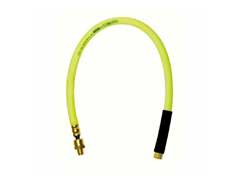 The hose has reusable anodized aircraft aluminum fittings, meaning it can be repaired on the job site in a few simple steps. 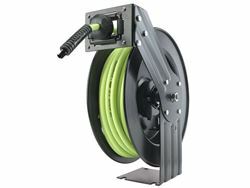 The hose kit features Flexzilla Pro Air Hose with a Red Industrial (Type D) 1/4 in. body ColorConnex coupler and plug set (one each). The coupler and plug are already installed with thread sealer. WARNING: Use only on compressed air lines at a maximum operating pressure of 300 psi. For safety, do not exceed the pressure limitation of the hose and/or air-operated device you are using. This product is not designed for use with fluids, for non-industrial applications, or for life support systems. Failure to follow these directions exactly may result in personal injury or property damage.